There’s a new word going around for directors in Bollywood – if you want to make a film go to an actress but if you want to make money, go to an actor. The reason is simple: The actresses in Bollywood are far superior and far more sensitive when it comes to content and they are planning better films in Bollywood. While the actors are only making commercial films and big budget films that are supposed to bring in the moolah. Film producing once used to be an actor’s domain and it was the actor’s who used to team up with the producers. The actors in Bollywood are also into a condition – if you want me, then you have to team up with my production house or give my company distribution rights. Though regarded as unprofessional, this particular mode of operation is true for all the Khans – Salman, Shah Rukh, Aamir, Saif Ali Khan and also actors Ajay Devgn, Akshay Kumar etc. This has become a standard code in Bollywood. But the actresses are coming in and changing that. Not only that they are bringing in better content on the table but they are also not insisting that the film should star them (not all of them). Katrina Kaif : Not many know but the actress is planning to launch her own production house to make international films. The actress was recently in talks with a French production house to team up to produce a french film that will also be released in India. The talks never materialised properly but the actress is on course to make a business of her own. We asked her but the actress said that there’s still time for that announcement. The announcement will also come on time. Priyanka Chopra : Priyanka is planning to invest into a production house to make good films with high content. She also wants to start a music company to distribute music. However both are in the planning stage and we expect Priyanka to make an announcement about it soon. Shilpa Shetty : She tried to launch Harman again with Dishkiyaoon. But there are other good films in the pipeline too. Of course, one hasn’t forgotten about the film ‘Desire’ that was high on content but low on budget. 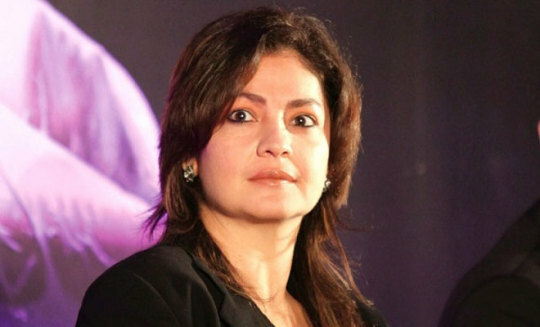 Pooja Bhatt : An actor to reckon with, Pooja, who proved her mettle with films like “Daddy”, “Dil Hai Ki Manta Nahin” and “Zakhm”, comes from a family of producers and directors and so the next natural step for her was to produce and direct. She started producing with “Tamanna” (1997) in which she was part of the cast. Pooja, who produces under her banner Fisheye Network, has so far made about 10 films and out of them “Dushman”, “Zakhm”, “Jism”, and “Jism 2” set the cash registers ringing. Most films of Pooja have been appreciated and are high on content. None of them featured leading actors or stars. Ameesha Patel : She has turned producer and is trying to revive her sagging career with “Desi Magic”, which is being directed by Mehul Atha. She will be seen with Zayed Khan and Sahil Shroff in it. Dia Mirza : She along with actor Zayed Khan launched her production house Born Free. Their first film was romantic comedy “Love, Breakups, Zindagi” (2011) and they played the lead role in it, but it tanked. After Bobby Jasoos, more films are in the pipeline which are high on content. Again Bobby jasoos was a woman centric film aand as was their first film, Love, Breakups, Zindagi. Preity Zinta : She burnt her fingers when she turned producer with “Ishkq In Paris” (2013), which saw a debacle at the box office despite her being in the female lead along with Rhehan Malliek. But we hear that Preity has finalised a script and will soon announce another film after tying up with another production house. Lara Dutta : Lara floated her production house Bheegi Basanti with husband and tennis ace Mahesh Bhupathi and they came up trumps at the box office with their maiden production venture “Chalo Dilli” (2011), which also received critical acclaim. The film was high on content and more film announcements are coming up soon. Manisha Koirala : The “Saudagar” and “Bombay” fame Nepali beauty turned producer with “Paisa Vasool” (2004), but it wasn’t a fruitful effort. It is being rumored that her comeback project will also be partly produced by her. Sushmita Sen : The former Miss Universe announced in 2007 that she will delve into production with English film “Jhansi Ki Rani”, but it was later shelved. If reports are to be believed she may revive it. She is soon going to announce more projects about her production house and relaunch the project again.